Travel in impeccable style and ensure your colleagues do the same. Our flexible corporate transfers and corporate travel options allow businesses to travel smoothly and luxuriously, whether they are providing courtesy cars for their customers or arriving at an important event themselves. Featuring a fleet of beautifully maintained Mercedes-Benz models, our sleek fleet looks the part and performs wonderfully on the road. From E-Class Saloons, Estates to our expansive MPVs ideal for larger groups, we provide the perfect vehicle for your business needs, on time, every time. We have earned our reputation for professionalism and exceptional customer satisfaction with our corporate transfers and travel services over many years, working with discerning and demanding companies to provide a prompt, dependable and immaculately presented corporate chauffeur service. Visit our testimonials page to learn more about our service from our satisfied customers. 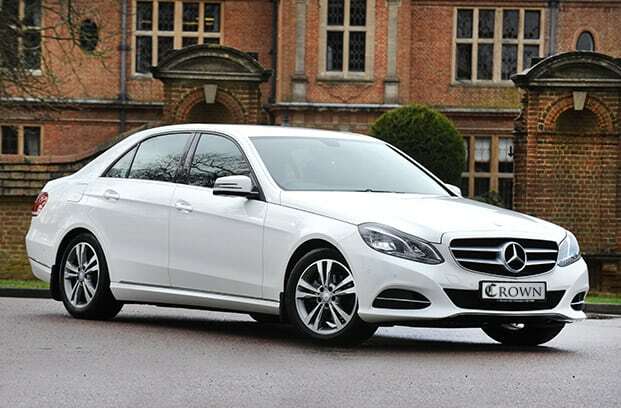 Ideal for allowing passengers to rest or work whilst on the move, our fleet of executive cars and staff of experienced drivers are available across the UK and ready to go any distance for our business clientele. We welcome applications from new business account customers and are very happy to provide further detail regarding our chauffeur services. To make an enquiry or to learn more, please contact Crown today.